Started on a 1921 Emerson Jr non-oscillator. Thumb screw holding head to base is broke and need a replacement If anyone has one for sale I’ll buy it. Thx. Does that go at the top of the base to adjust tilt of the motor? I don't recognize the part you posted. I guess I did not recognize your broken wing bolt as mine is also broken and my collection of Jrs. has shrunk to one or two. I don't have the part you need. No worries. Thx Steve for inquiring. I've repaired one of these before. Made the "winged" part out of brass, used the J-B epoxy with the steel black stuff in it. Once primed and painted you would never know. Worked for me anyway. I also had to clean out the stem and make it fit perfect once again to fit the thickness of brass I used. 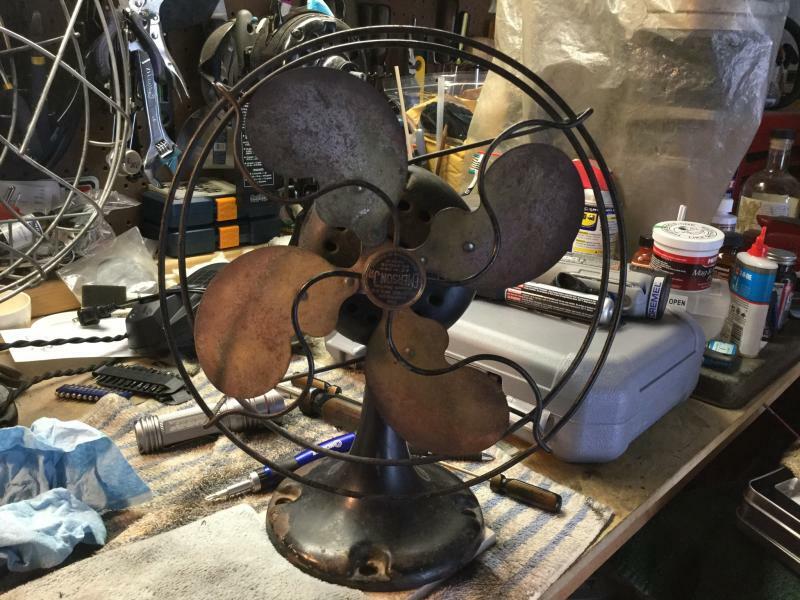 I happen to have another fan with that same winged screw so I could template off of that. Joe, I certainly don’t have that ability but glad it worked for you. If you are offering to do it, give me a price so I can pay you. 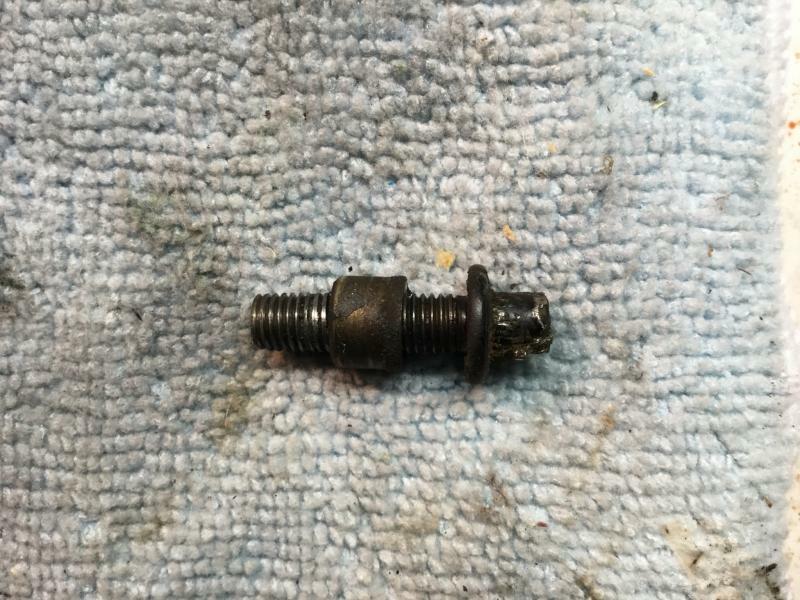 Do you need the size of the bolt? Actually I'd need to original bolt that is missing the wings. Thx Joe but I’ll get one eventually off a parts fan. Appreciate the offer. Page processed in 0.1591 seconds (15% database + 85% PHP). 27 queries executed.